During our recent visit to Lubbock, where most of the Texas wine grapes are grown, we dropped by Pheasant Ridge Winery not only because it was highly recommended by people in the know but more importantly because the winery is the subject of an intriguing story of paradise lost and regained. While tasting through their line up, an affable, mustachioed gentleman kept moving in and out of the tasting room performing various chores. This was the legendary Bobby Cox who is largely responsible for getting Texas wines on the wine map. He joined us for a lengthy chat about Texas wine. 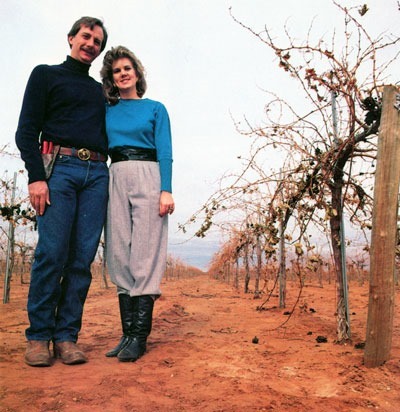 Pheasant Ridge was founded by Cox and his wife Jennifer in 1978 and was one of the first wineries to be fully committed to growing v. vinifera grapes, the species out of which most of the world’s best wines are made. Cox soon began winning national awards for his Cabernet Sauvignon that stood head and shoulders above anything else made by the handful of Texas wineries then in operation. Unfortunately, in the 1990’s, financial troubles forced him out of the winery business although he continued to consult with other wineries and vineyards to advance Texas winemaking. Fortunately in 2013 Pheasant Ridge was put up for auction and the winning bidder Bingham Family Vineyards brought Cox back to handle the winemaking and viticulture, eventually agreeing to split the assets and turn ownership of the vineyards, production facilities and brand over to Cox. The legend is back in business. When talking to him about what grows well in Texas I mentioned that most people think Pinot Noir is too finicky to grow well in the short, hot, humid growing season. In fact, we had not come across any Texas-grown Pinot Noir in the tasting rooms we had visited. Cox smiled and said, “hold on, I’ve got something to show you.” He brought out this bottle of Pinot Noir he had made in 1993 just before losing the winery. Quality Pinot Noir from Burgundy and a few from California are age worthy, but only the very best will hold up for 25 years or more. Not only is this wine still drinkable; it is gorgeous. “It’s so unexpected” Cox exclaimed. “It’s just a unique site”, pointing to the European vineyard spacing, mix of clones, and and iron rich, low PH soils as contributing factors. Whatever the explanation is for this unique wine, it was the most impressive of the hundreds of Texas wines we sampled. Still deeply colored and just beginning to develop a copper hue on the rim, the nose is a heady elixir of dried cherry, old leather, mint and clove against a fresh earth background that reminded me of forest floor after spring rains. The palate is still vibrant and juicy upfront, cherry with chocolate hints, utterly seamless transitions unfold from the round, rich opening through a calm, sleek midsection to the lengthy, slow-fading finish showing sour cherry and orange peel on a frame of fine, powdery tannins. Aged in new French oak. Wine Industry! Get a Clue! Some segments of the wine industry have been, for many years, in the forefront of developing sustainable farming and low-intervention production methods that include minimal use of chemical additives. But when an ordinary chain restaurant like Panera beats you to the punch, you know you’re losing your edge. Panera Bread seems to have adopted the credo of healthy eating aficionados everywhere: If you can’t pronounce it, don’t eat it. The restaurant chain — which has never fared badly health-wise (at least for a fast-food restaurant), is looking to remove all artificial preservatives, colors, sweeteners and flavors from their food by the end of 2016. So, what does it all mean? Panera has compiled a “No No List” with all the ingredients it will be removing from its menu — and it looks like we’ll be saying goodbye to preservatives like propylene glycol and nitrates as well as high-fructose corn syrup. When is the wine industry going to start putting ingredient labels on their bottles? Over the next couple of years, Big Wine will add ingredients and nutrition facts to its wine, thanks to the new voluntary program, and reap the benefits. And, as the rest of the wine business holds out for reasons that no one who isn’t in the wine business understands, consumers will start to wonder if wine has something to hide. I don’t have anything to add except to amplify the call out which should become a chorus soon. 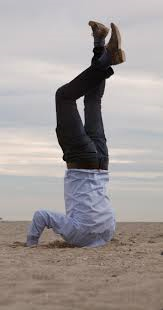 Get your head out of the sand wine industry and join the 21st Century! How wine labels trick us into buying the bottle. Charlotte’s Web it is not. McDonald’s will include children’s books in their Happy Meals—written by their advertising firm. Your food engineers at work. 130 new apple varieties have been released in the past 6 years. The future of food. Some unused, abundant food sources we might see on our plates soon. For wine geeks, here is a timeline of the major technological advances in winemaking. A craft beer that sells for $2000, aged for 19 years. The latest on the experiment to age wine in the ocean. If you want to eat roadkill, there’s an app for it. The 21 weirdest beer flavors. Tired of cronuts? Here are 10 more food fusions. Oceans are in even worst shape than we thought. Food as medicine. Inside the Kale wars. The secret of good olive oil—it must be fresh. Are fast food restaurant menus becoming more healthy? The government shutdown is not good for food safety. From the extreme foods file: a burger in a fried mac n’ cheese bun. Port lovers beware. A new law allows port produces to fortify using low quality brandy. Is using good whiskey to cook with a waste of good whiskey? A paean to the most important position in the kitchen—the line cook. The International Chili Society is now permitting chili with beans. Is the debate over? Top Chefs review America’s food critics—guess who’s #1. Fake Yelp reviews and the companies that write them. 20% of Yelp reviews are allegedly fake. The Monsanto Protection Act is about to expire. There has been very little change in the American diet since 2000. Growing Sea Urchins in a lab and improving their flavor. Ferran Adrià will publish a 7-volume illustrated catalogue of every recipe created at El Bulli from 2005-2011. Mammoth wine corporation Treasury Estates is in trouble. Wine Spectator’s James Molesworth does not like the movie Somm, a documentary about students studying for the Masters of Wine exam. The Pho wars. A restaurant chain trademarks Pho, the national dish of Viet Nam. Can they do that? If you like homemade pasta but lack the time or the pasta machine, here is an easy recipe. I haven’t tried it but it looks good. The origins of haute cuisine—it was all about overcoming disgust. Why the Spanish are abandoning their late-night meals. The science of how to get served first at a bar. Food expiration and sell-by dates on labels are misleading. After a loss, football fans consume more fat than after a victory. Here is the explanation. I still don’t understand competitive eating. But if you’re curious, check out this video. A women eats 9 lbs of fried mushrooms in 8 minutes. California’s 2013 wine harvest—is it a good year? We waste 40% of the food that is produced. Here are suggestions for reducing that waste. Scientists claim there are 10 categories of basic aromas humans are capable of smelling. Are American farmers feeding the world? Well, yes and no. Its complicated. Here is a good blog post on the problem of corked wines. The problem is not just that musty smell. A small amount of TCA can cause the wine to be dull. The 21 worst food ideas ever. Bluefin tuna used to be a trash fish—now its the most expensive item on a sushi menu. Here’s the story. Are you wondering what to make for dinner? Here is a 14th Century recipe for cooking unicorn meat. The complex chemistry behind flavor differences in whiskey explained. Do you like expensive cognac. Here’s a bottle that sells for $156,000. The science of why some people like broccoli, and some do not. A new avocado will soon be on store shelves. 4 Key Trends in the wine industry over the past 20 yrs. Michelle Obama wants us to drink more water, but there is no good science behind this recommendation. Tests for the safety of food additives are mostly carried out by people with a financial interest in their sale. Now don’t you feel more safe. The moral debate over eating horses. We waste a lot of food which harms the environment. News from the world of food and wine that might have missed this week. NYT restaurant critic hates tipping. So should you. 50 words a culinarian should know. The emerging wine region of Paso Robles is facing a sharp debate over water resources. Think there is a problem with food safety in China? The FDA is about to allow unlabelled, processed chicken from China into our food chain. Meanwhile, new food safety rules threaten small farmers. Does the wisdom of crowds provide better wine reviews than experts? Join the debate at 1WineDude. Here is a fascinating study of how we form food preferences. Raw oyster lovers may not like global warming. Sugar is not toxic. The problem is High Fructose Corn Syrup, which is not sugar. In the wake of the Cronut, we now have fried Bagel Balls stuffed with lox and cream cheese. The ten worst cities in the U.S. for food lovers. A recently discovered 350-yr. old recipe for a chocolate dessert. A Federal court upholds California’s ban of foie gras. New cookbooks scheduled for Fall release. Here are nine affordable wines that go well with burgers on Labor Day. Store brands can be better than name brands according to consumer reports. For you wine investors out there, Burgundy is beginning to rival Bordeaux in Asian markets. 24 useful kitchen tips from Serious Eats. We’ve been hearing about overuse of antibiotics for farm animals for years. There is still no resolution of the problem. The plight of restaurant workers requires more attention. The fast food workers strike which has hit 60 cities is a good start. In Australia, McDonald’s pays their workers $15 per hour. Fast-food salads are no more healthy than the burgers. Weird. If you love bacon, Ford is selling bacon-like vinyl strips to decorate the Ford Fiesta. The refrigerator of the future, according to GE designers. Bon Appetite’s 25 food trends for 2013. Is Filipino food the next great food trend? A compendium of the best food stories from the Onion which is celebrating it’s 25th anniversary. Japan invents an in-car rice cooker for people on the go. I thought Americans led the most frantic lives. Can you taste the difference between Japanese Sake and American Sake? From India, the great onion heist. Is this the beginning of the end of marketing junk food to kids? The French now prefer soft baguettes. Another sign of the decline of French culture. From the ridiculous-to-the-absurd file, a restaurant that serves only sandwiches with bacon. Food from your homeland or ethnic group can produce shame as well as pride. A compendium of really bad diet recommendations. And a compendium of negative reviews of great restaurants on Yelp. Some people haven’t a clue. An interesting article on the science of why you should sauté vegetables when starting a stew. Julia Child was wrong. Don’t wash raw chicken. Chefs in the stone age used spices. One side in the debate about whether wild yeast fermentation in wine is for real.